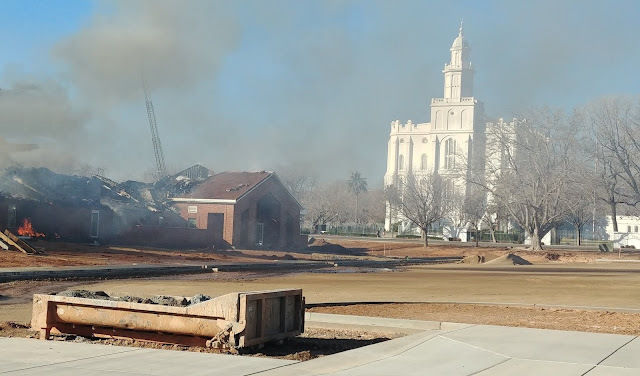 LIME REALTY GROUP brings you some first hand footage of the tragic fire that gutted the brand new LDS stake center being built directly across from the St. George LDS Temple. Right on the heels of the announcement that the temple would close for approximately 3 years starting this November. Early Saturday morning, police say the fire was started that burned all night and throughout the following day completely gutting the brand new building that was almost ready to open. 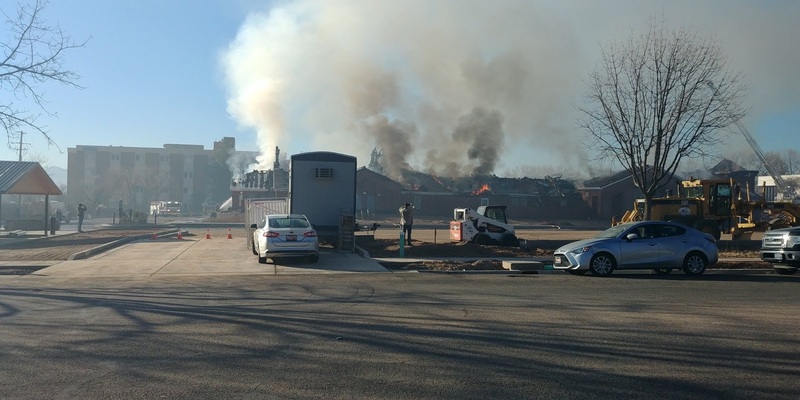 The parking lot was being prepared for asphalt and the final sections of roof were about to be finished when the fire occurred. A friend of the blog lives in the neighborhood and submitted these pics and clips for us to share with you. 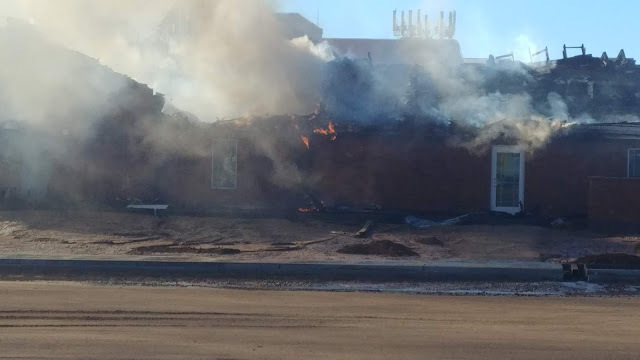 This is truly a tragedy and if the fire is as suspected, arson… It reveals an intolerance in our community that should make everyone feel angry. There’s no room for this level of prejudice. Especially in our beautiful Southern Utah… A place where people of all walks of life meet and live together peacefully because we love the sunshine and the desert. All of us at Lime hope for a swift resolution to this mystery and we regret the loss of a magnificent building that certainly beautified the neighborhood it stood in. 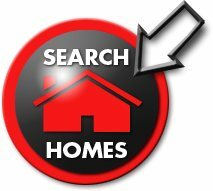 PreviousPrevious post:THE CURRENT MORTGAGE RATE!NextNext post:UTAH RECORDING ARTIST MINDY GLEDHILL RELEASES: RABBIT HOLE!